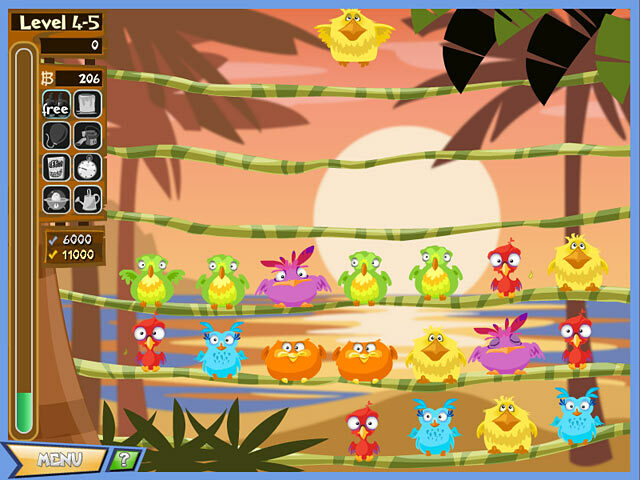 Drag and match the Burds in this colorful, island-hopping Match 3 game. Your goal is to travel across the islands taking pictures of the exotic, tropical paradise. But before you can take each picture, you must use your skills to clear the area of the native Burds! 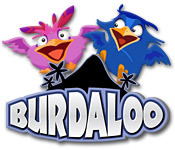 Burdaloo is rated 4.2 out of 5 by 5. Rated 5 out of 5 by mrm2006 from It's Vacation Time! Let's Find Some Burdaloos! This is definitely a unique play on the usual match 3 game! The graphics are amazing. 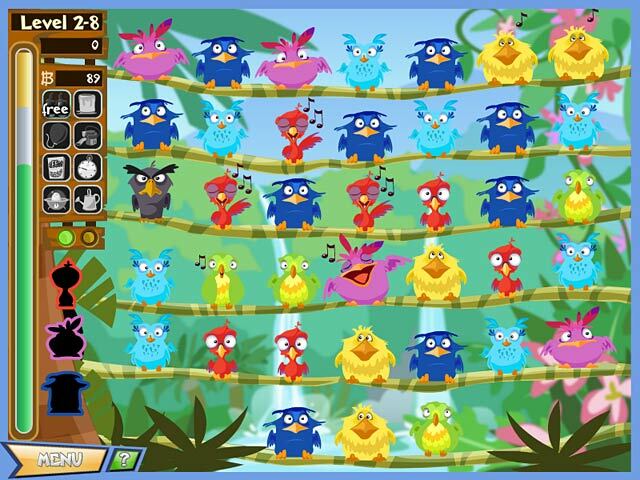 Colors of the Burdaloos are bright, cheery colors that you can't help but smile at while playing. lol I can't comment on music or sound fx as I had it turned down. Puppy sleeping. 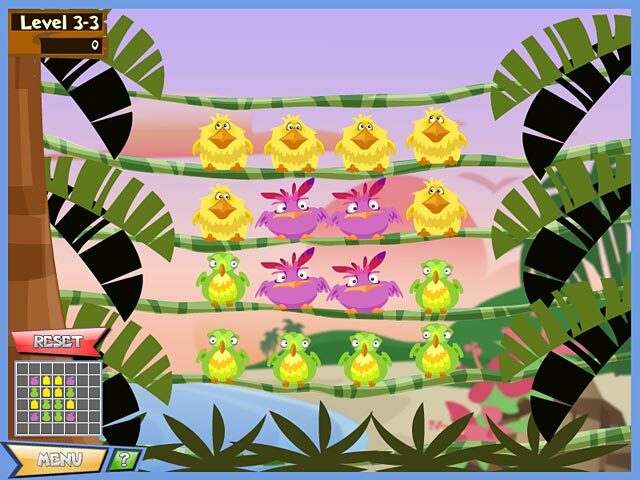 The gist of the game is to make matches of 3 or more Burdaloos - quite interesting looking "birds" that live on several islands. You visit the first island and start making matches! But, it's NOT that easy - lol. No, no, no! On the left side of the screen near the bottom shows WHICH Burdaloos you need to find before the timer runs out. It may be find certain colors, colors in a certain order and more! And it's NOT just a unilateral 3 or more across horizontally or vertically. No! You can make GROUP matches too! How cool is that! And, of course, let's not forget the gift shop where you can purchase items that will be very useful as you level up. And don't forget ..... when you finish an island ZOOM OUT so you can see the next island! I absolutely loved this game. It even has a "zen" mode which is untimed. That was rather boring for me. Come along on MY vacation and let's have some fun finding interesting looking colorful Burdaloos! ENJOY! Rated 5 out of 5 by sjlm53 from Fun! This game is an enjoyable match-3 game! It is an easy sliding match 3. The sound quality and music are good and appropriate for the game setting.It would be an enjoyable game particularly for children. There is some challenge but even beginners could play this game and master it quickly. Rated 5 out of 5 by LTMc from Great Graphics Simple and fun! The birds are cute and colorful. Rated 3 out of 5 by Stareliza from Oh Dear !! Didn't see the point of this game at all.Just shooting birds off a wire and shooting more birds and shooting more birds! In other words a very boring game. Rated 3 out of 5 by TiddK from Just another 'Match3' game I played the trial version for about 15 or 20 minutes, expecting it to offer something more than just 'match 3' - but no, that's all it was. I'm sure it gets harder as you go further, like Bejewelled Blitz, but to be honest, I've had my fill of match 3 games. If this is your first Match 3, and you like the cutesy graphics and sounds, then go ahead. But I'll pass. Clear away the Burds and take the picture!